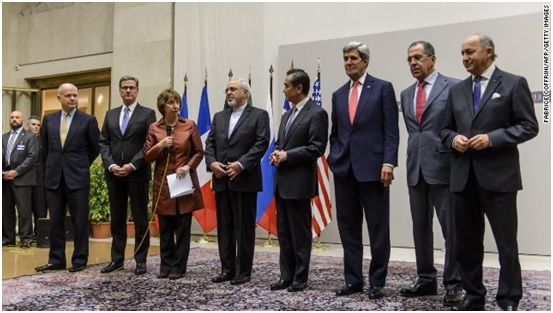 The stopgap accord between the Islamic Republic of Iran and the United States, France, Germany, China, Russia and Britain is seen as a first step towards resolving a decade-old quarrel that has moved Israel and Iran to the brink of war. Israel’s popular prime minister, Benyamin Netanyahu, tongue-lashed the deal with Iran as “dangerous”—an “historic mistake”. He made his televised remarks in English purposely aiming his comments at ordinary Americans and their representatives in Congress. Netanyahu has lost all confidence in President Obama but is hoping Congress will support him in denouncing Washington’s agreement with Iran. Now the international community waits to see if over the next months Israel will make a unilateral strike against Iran? Prophecy describes Judah of the end time as striking out against its enemies. This has been the pattern of the nation state of Israel ever since 1948. The question remains will Israel attack Iran sometime in 2014? Of Judah, God said through Jacob: “Judah, you are he whom your brothers shall praise; your hand shall be on the neck of your enemies; your father’s children shall bow down before you. Judah is a lion’s whelp; from the prey, my son, you have gone up. He bows down, he lies down as a lion; and as a lion, who shall rouse him? The scepter shall not depart from Judah . . .” (Genesis 49:8-9). This prophecy details Judah’s “prey” and Judah having his “hand on the neck of his enemies” this describes so clearly the state of Israel (Judah) today. This is seen in the series of wars won by the Israelis against the Arab nations since 1948. Many in America and around the world have “praised” Judah for its finesse displayed in daring military actions and frequent assassinations of its enemy’s leaders. To name but a few astonishing military feats: there was the Israeli stunning victory over the Arab nations in the 6-Day War of 1967, its rescue of Jewish hostages in Entebbe, Uganda (July of 1976) and the surprise Israeli bombing of the Osirik nuclear plant in Iraq (June 1981). America’s creeping weakness in the Middle East has caused a regional realignment in which Israel and France are replacing America as the protectors of the Sunni Arab states of the Persian Gulf. France has strong financial interests in the Persian Gulf; also keep in mind that France has 6 million Muslim citizens who attend mosques that are heavily supported by Saudi Arabia. France is not a friend of Iran. Iran has attacked French targets repeatedly over the past 30 years. Iran does not trust France. France built Saddam Hussein’s nuclear reactor while Saddam was at war with Iran. Saudi Arabia is increasingly angry with Washington over Syria—“a do nothing approach”. That anger has escalated to fury over Washington’s recent agreement with Iran—a long-time enemy of Saudi Arabia. You must remember that Iran is a Shiite nation, while Saudi Arabia is mostly populated by Sunnis. Sunni/Shiite tension in the Middle East often erupts into war such as we have seen in Iraq and what we are now seeing in Syria (essentially a Sunni/Shiite civil war). In 2011, two men were accused here in the United States of plotting to kill the Saudi Ambassador—an Iranian assassination plot. Saudi Arabia believes that Iran will eventually wiggle free of sanctions and enter a zone of nuclear ambiguity that will create confusion and discord in Europe and America. If Iran appears to be on the verge of getting a nuclear weapon, then the Saudis will move swiftly to acquire one of their own. Saudi billionaire Prince Alwaleed bin Talal made this clear to the Wall Street Journal… of a potential Saudi “arrangement with Pakistan.” If this were to take place Egypt would seek out its own nuclear weapon most likely drawing closer to Russia. The last thing the Middle East needs is a nuclear arms race. We continue to watch this developing story regarding Iran and Israel. Clearly America is a declining superpower—our will, determination, and pride is in retreat (see Leviticus 26:19). This statement in response to a deal struck early Sunday between Iran and six world powers over Iran’s nuclear program that slows the country’s nuclear development program in exchange for lifting specific sanctions while a more detailed agreement is drawn up. The “deal” — described as an “initial, six-month” agreement — includes “substantial limitations that will help prevent Iran from creating a nuclear weapon,” U.S. President Barack Obama said in a nationally televised address. Last week the British newspaper the Sunday Times, reported that Saudi Arabia has agreed to let Israel use its air space, and will contribute help to Israel by cooperating on the use of drones, rescue helicopters and tanker planes. The Times states: “Once the Geneva agreement is signed, the military option will be back on the table. The Saudis are furious and are willing to give Israel all the help it needs,” the Times quoted a source as saying. Wars and Rumors of War (Matthew 24:6) is the scripture that continues to play out. We will be watching this story very closely! Below is Caroline Glick’s latest article on the relationship between Israel, America and Europe—she touches upon several very interesting and shrewd insights—well worth reading! Prime Minister Binyamin Netanyahu apparently believes the greatest threat the country now faces is an escalated European trade war. He’s wrong. The greatest threat we are now facing is a national leadership that cannot get its arms around changing strategic realities. Over the weekend, Yediot Aharonot reported that during Secretary of State John Kerry’s seven-hour meeting in Rome last week with Netanyahu, Kerry warned that the price for walking away from the talks with the PLO will be European economic strangulation of Israel. According to the newspaper, “[T]he secretary of state told the prime minister that he heard from his European friends… that if the negotiations fail, Israel can forget about participating in the European research and development program ‘Horizon 2020.’ “And that will only be the beginning. On Sunday, outgoing National Security Adviser Yaakov Amidror warned the cabinet that Israel’s diplomatic standing and ability to avert a European economic war is dependent on continuing the negotiations with the PLO. In other words, the viability of our economy is dependent on the PLO’s willingness to sit at a table with us. Actually, according to Amidror, the PLO’s sufferance of our leaders is only half the story. The other half is President Barack Obama. As he sees it, Israel’s international position is directly related to Obama’s position. Apparently based on fear of angering Europe or weakening Obama, Netanyahu has reportedly agreed that early next year the Obama administration will put forward a bridging proposal in the talks. The proposal will have two parts. First, it will contain the details of a new interim arrangement. Second, it will contain the details of a final settlement. From Obama’s prior statements and consistent policies that castigate the Jewish presence in Judea, Samaria and united Jerusalem as “illegitimate,” it is fairly clear that Obama and Kerry expect Israel to relinquish its legal claims to Judea, Samaria and united Jerusalem in the framework of a final peace. From a legal and diplomatic perspective, such a move by Israel would be the most disastrous it has ever made. It would empty out our sovereign rights in general. And it would imperil our military viability. As to the interim deal, from American and European projects on the ground today in Judea and Samaria it is apparent that the plan will require Israel to cede to the PLO its control of planning and zoning in Area C.
Such a move will enable the Palestinians, Europeans and Americans to strangle the Israeli communities in the region and render it practically impossible for the IDF to operate in Judea and Samaria without PLO permission. THE PROBLEM with the government’s behavior is not simply that it is maintaining allegiance to a policy paradigm that works to our extreme strategic disadvantage. The problem is that we are maintaining allegiance to a policy paradigm that is based on inaccurate strategic assumptions. Amidror spelled them out. Israel is operating under the assumption that there is a cause and effect relationship between our actions and Europe’s. To wit, if we ditch the phony peace talks, they will destroy our economy. But there is no cause and effect relationship between Israeli actions and European actions. Europe made hostility toward Israel the centerpiece of its unified foreign policy without connection to Israeli actions. So undertaking strategically damaging talks with the Palestinians to appease Brussels is a fool’s errand. Then there is Amidror’s assertion that Israel has an interest in strengthening Obama, because if he is weakened, we are weakened. Will the achievement of these goals – that is, the success of Obama’s second term foreign policy – be helpful to Israel? Consider Syria. Obama negotiated a deal with Russia regarding Syria’s chemical weapons that leaves Iran’s Syrian proxy Bashar Assad in power, and according to chemical weapons inspectors, likely in possession of parts of his chemical arsenal. Moreover, the Obama administration’s repeated exposure of Israeli military operations against Hezbollah in Syria has harmed Israel’s national security. The administration’s leaks have increased the prospects of war between Israel and Syria. So a key part of Obama’s Syria policy involves exacting a huge, unexpected cost for every strike Israel has undertaken to prevent Hezbollah from acquiring weapons systems that will imperil Israel. Israel is a victim, not a partner in the US’s Syria policy. Israel is weakened by Obama’s success. As for Iran, it is now inarguable that the US’s primary objective is not to prevent Iran from acquiring nuclear weapons. It is to prevent Israel from attacking Iran’s nuclear installations. Here too, success for Obama requires Israel to be imperiled. Finally, our experience has shown us that peace is not a possible outcome of Obama’s pro-Palestinian policy. The only beneficiaries of administration’s use of European economic blackmail to force Israel to make strategically suicidal concessions to the PLO are the PLO and Hamas, and the anti-Semitic forces in Europe. SO HERE we are, three for three. All of Obama’s second term foreign policy goals are harmful to Israel. 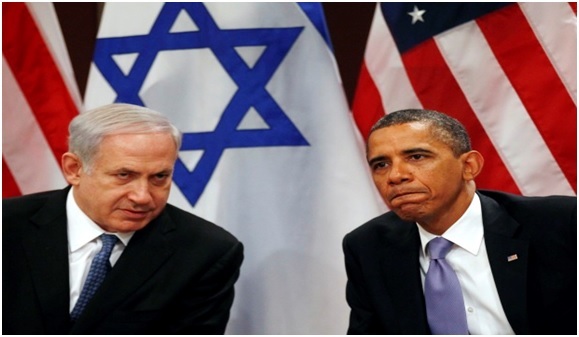 Everything that is good for Obama is necessarily bad for Israel. It is easy to understand why our leaders insist on holding on to strategic assumptions that are no longer valid. The region is in a state of flux. In stormy seas, our natural inclination is to go back to what has always worked. Since 1968, the conviction that a strong Israel is consonant with US global interests has guided US policy in the Middle East. It’s hard to accept that this is no longer the case. But we have to accept it. By clinging to our now outdated strategic assumptions, not only are we engaging in dangerous behavior. We are blinding ourselves to new strategic opportunities presented by the chaos in neighboring countries. True, the new opportunities cannot replace our lost alliance with the US or Europe as a trading partner. But they will get us through the storm in one piece. More and more Jewish families are leaving Europe to move either to America or Israel. Almost a quarter of respondents in a major survey of Jews from nine European countries said they avoid visiting places and wearing symbols that identify them as Jews for fear of anti-Semitism. 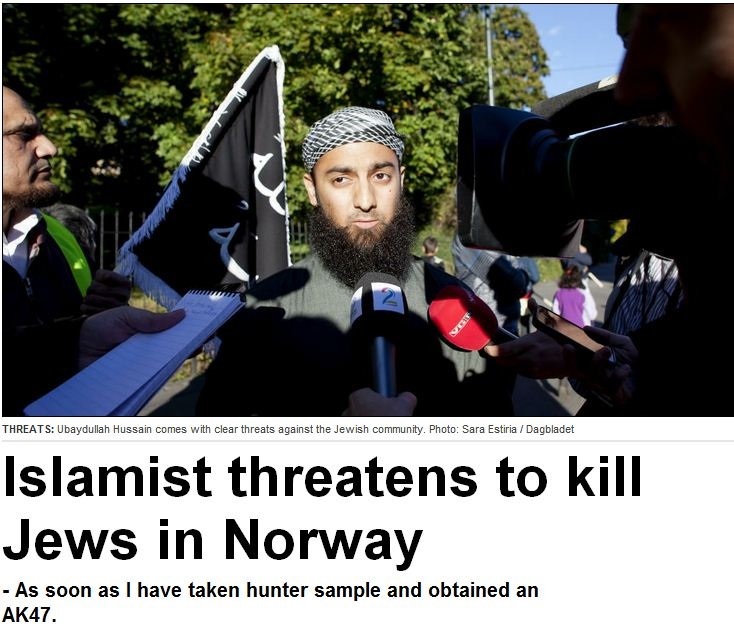 Anti-Jewish acts of hatred are clearly on the rise within many European nations. Take for example Hungary, a central European nation that is the home of the anti-Jewish party named Jobbik. Threats and sporadic violence against Jews here are commonplace. Jobbik has become the third most popular party in Hungary. Last year a Jobbik MP stated in the National Assembly that the names of politicians with Jewish origins should be added to a watch-list of public figures who could pose a national security risk. The message of Jobbik is: The ‘Israelis’ are coming to conquer Hungary through financial investment, leaving the Hungarian nation as a people to be colonized by Zionism. In Greece the neo-nazis party Golden Dawn holds 18 of Parliament’s 300 seats [Greece’s third largest party]; its anti-immigrant, anti-Jewish teachings have seduced thousands of Greeks, who are tired of unemployment and angry with the Jews who are seen to control the world financial markets. The party leader, Nikos Michaloliakos, Golden Dawn’s leader, denies there were gas chambers or ovens at Nazi death camps, and hehas a fondness for giving the Nazi salute. Statements from the party refer to Israel as a “Zionist terror state.” He was recently arrested on charges of running a criminal organization. Bulgaria’s extremist party, Ataka won 23 seats out of 240 seats in the last election. According to reports, Ataka party members wear shirts with swastikas and make Nazi salutes at rallies. The Ataka party, means “Attack” in Bulgarian. The party currently holds a key position to dictate terms for the formation of Bulgaria’s next ruling coalition. And in the Ukraine, the radical right-wing Svoboda (“Freedom”) party, which openly applauds the World War II pro- Nazi veterans, holds 41 seats in the Ukrainian parliament–Svoboda reaped more than 10 percent of the vote in last years elections, becoming the country’s fourth-largest party. In France anti-Semitism is strong— A just-released survey in 10 European countries found that 24% of the French population holds anti-Jewish sentiment, up from 20% in 2009. The extreme right National Front party [blatantly anti-immigrant, and more subtly anti-Jew] led by Marine Le Pen is gaining steam due to the economic downturn. France has the third highest Jewish population in the world, behind only Israel and America. France is home to over 6 million Muslims. In Belgium the Muslim population is exploding and now represents a powerful voting bloc. In the capital, Brussels, where the most popular baby name is Mohammed, Moslems today comprise 30 percent of the voting public. In Belgium anti-Semitic incidents, including desecration and vandalism of Jewish institutions as well as violence directed against Jews, rose abruptly by 30 percent. In Sweden’s third largest city, Malmö, the local Chabad rabbi has experienced 90 anti-Semitic incidents, including one in which the word “Palestine” was scratched into his car. Pro-Israel rallies in Malmö have seen participants pelted with eggs, bottles, and firecrackers. Spain’s media and government are among Europe’s most hostile toward the Jewish state. Is it just a coincidence that Europe’s largest anti-Israel demonstration took place in Spain a few years ago, with more than 100,000 protesters? The DC-based Pew Research Center, tells us that 46% of Spaniards hold negative opinions of Jews. In a report on anti-Semitism in Spain, the Observatory on Anti-Semitism in Spain counted more than 1,000 anti-Semitic sites and web pages that the observatory says were created in Spain. Germany, the BBC reports that, ” a rigorous academic study indicates that one in five Germans has at least a “latent” antipathy towards Jews”. German Chancellor Angela Merkel said anti-Semitism and racism remain a threat to democracy in Europe almost 70 years after the end of World War II. She also asserted that Jewish schools and synagogues in Germany still require police protection, as evidence of the problem [anti-Semitism] in Germany. Netherlands, according to a German university study, 39% of people in the Netherlands believe Israel is conducting an extermination war against Palestinian Arabs. Last year, the chief rabbi of the Netherlands spoke in a published interview in which he spoke extensively about his love for the Netherlands. Asked at the end, however, whether there was any future for Jews in the country he said, “No,” and advised the community to move to Israel. There are almost one million Muslims in the Netherlands, representing 5.8% of the population. Dutch Muslims come primarily from Turkey and Morocco. They are responsible for much of the more virulent strains of anti-Jewish persecution. Trying to understand international news…here’s some valuable information. We take this for granted–energy is needed by all nations. National strength, and potential vulnerability is a matter of energy dependence. Germany is strong economically but vulnerable when it comes to its energy needs. 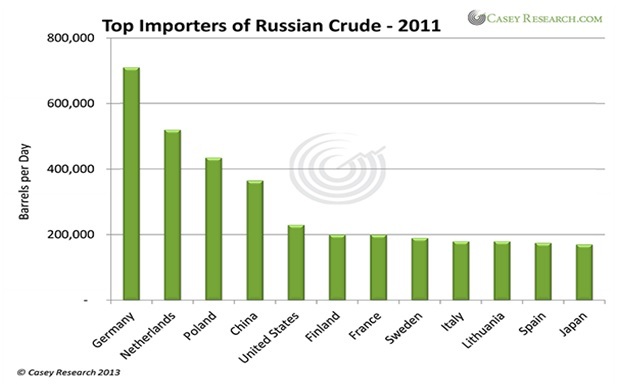 Germany imports much of its electricity from France (nuclear), and much of its oil from Russia. We watch Europe because the Bible tells us the “Beast” power of Revelation 13 & 17 is a European power…Phone us to receive your free copy of Germany & Prophecy. You can reach us toll free in the U.S. at: 1.877.449.6753.